MC Mary Kom and Asian Games bronze-medallist L Sarita Devi failed to qualify for the 2016 Rio Olympics after they went down in their respective second round bouts of the AIBA Women's World Boxing Championships here on Saturday. 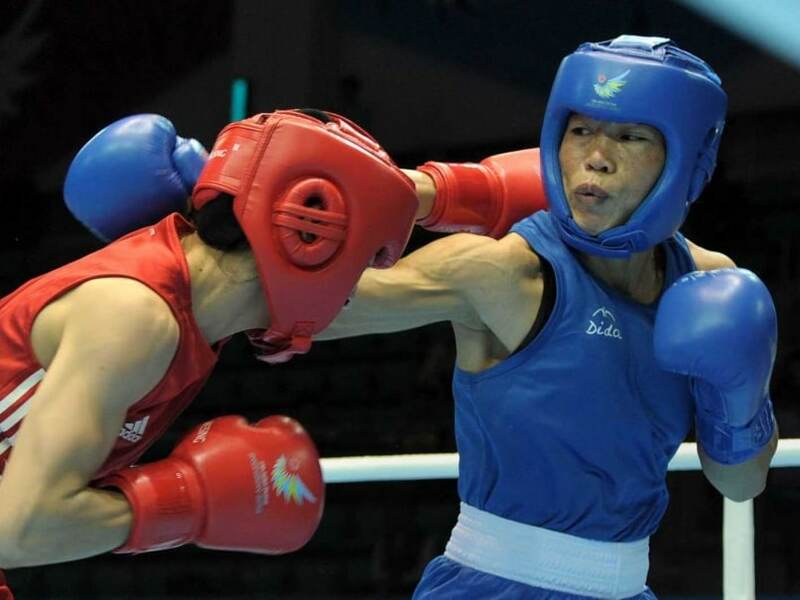 Mary Kom (51kg), who was a bronze-medallist at the 2012 London Olympics, lost 0-2 to Germany's Azize Nimani, while Sarita (60kg) was beaten 0-3 by Victoria Torres in the second round of an event from where only the semifinalists in the three Olympic categories would make the cut for the upcoming Rio Games. Mary Kom has a hypothetical chance of making it to Rio depending on the medallists in her category but that possibility is way too far-fetched and complex at this point. If China's Ren Cancan and Chinese Taipei's Lin Yu-ting, gold and bronze medallists respectively at the Asia & Oceania Boxing Olympics Qualification Tournament, finish with a medal at the World Championships. "Right now she (Mary) has not qualified. The only possibility for her to qualify is if No. 1 (Ren Cancan) and No. 3 (Lin Yu-ting) from the Asia/Oceania Olympics tournament finish with a medal in Astana," says Nicolas Jomard, AIBA Senior Manager Corporate & Media Relations, AIBA. The only Olympic hope left for India in the event is Pooja Rani (75kg), who is in the prequarterfinals after winning her opening bout. "I gave my best effort after a lot of sacrifices. Winning and losing is a part of game. The decision hurts me but it is not in my hand. I just have to respect the judges decision with true sportsmanship," Mary Kom said. "I believe God has a different plan for me. I want to thank all my fans and my support team for not letting me down in this crucial moment. I wish our remaining Indian boxers all the best and I hope they make our country proud," she added. Nimani will next be up against top seed Davide Marzia of Italy who got the better of Hungary's Katalin Ancsin. In an exciting contest, Mary Kom took off aggressively but Nimani managed to keep her at bay by fighting from a distance. In fact, Nimani hardly attempted any attack on the Indian in the opening two minutes but managed to connect a few counter-jabs to take the initial edge. Mary Kom continued to be aggressive in the second round as well, connected much better but failed to get the judges' nod, who again ruled in favour of Nimani on a split decision. Gaining in confidence, Nimani stuck to her gameplan and forced Mary Kom to let her guard down. The diminutive Manipuri threw herself aggressively at the German, whose punching was far from clean. Nimani's defensive tactics frustrated Mary Kom, who tried hard to engage the back-paddling German. However, the determined attack failed to yield the desired results for Mary Kom as Nimani was declared winner on a split vote. In the evening session, Sarita started off confidently against Torres but the Mexican's persistence helped her clinch the bout. Both the boxers went all out from the word go and nearly exhausted each other by the third round. Sarita was ahead in the opening two rounds on split decisions but Torres roared back in the next two to oust the veteran Indian, who was eyeing her maiden Olympic berth. The tournament is the final qualifying event for women boxers in the three Olympic categories of 51kg, 60kg, and 75kg and has 12 Rio tickets on offer.